Before you can start deploying your code, you'll need to sign up for a new DeployHQ account. Head to the pricing page on our website, then choose a package to get started with. Any of the paid packages will automatically sign you up with a 10 day free trial with no credit card or commitment required, allowing you to try DeployHQ first to ensure it's suitable for your requirements. Then choose a password, enter your name and your company/organisation name, then Create your account to finish. Once you've signed up, you can go ahead and create your first project. 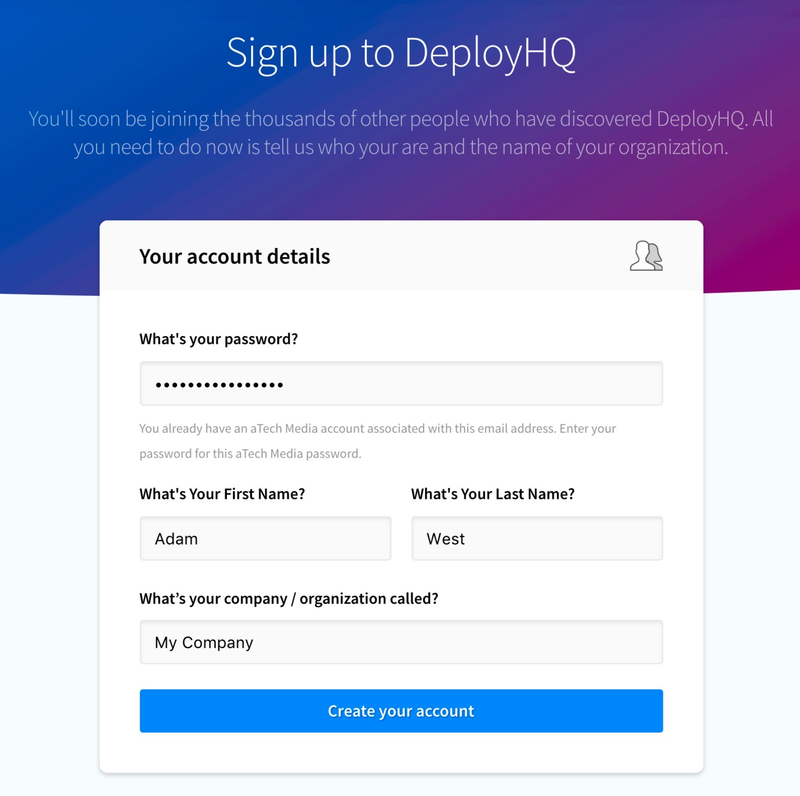 A DeployHQ account is designed to be associated with a specific organisation, but you can signup for multiple accounts with the same email address, for any number of organisations you like, which is especially useful if you are deploying projects for different companies that have different billing information and you want to keep everything separate. 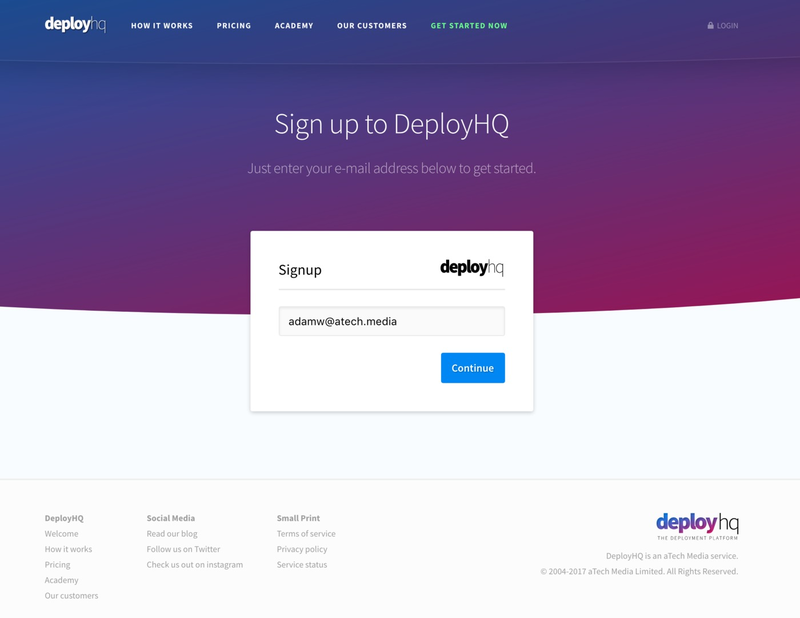 Just sign up for a new account from the website and enter your existing e-mail address that you've previously registered with DeployHQ, then you'll be prompted to re-enter your password and enter your name and a company name. 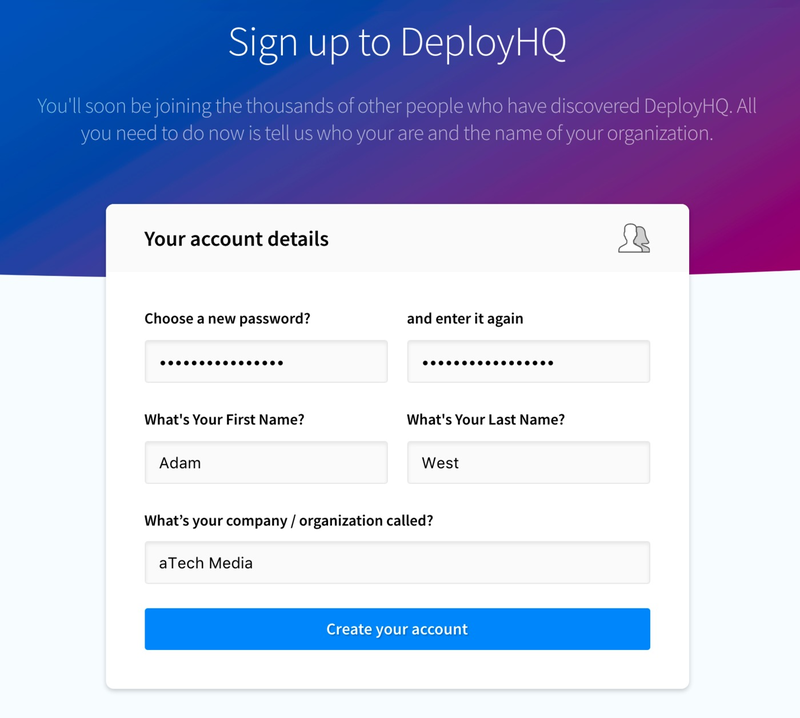 Once you've registered your new account, you can easily access your different accounts through our SSO service, aTech Identity; login there with your email address and password, then you'll see a list of accounts next to DeployHQ that you can choose between.